A Daughter Chronicles Her Parents' Final Months With Cancer : Shots - Health News Photographer Nancy Borowick captured her parents' deep love and joy in life, even as they endured treatment in their 50s for the cancers they knew would soon kill them. No matter how many times her cancer returned, Mom found a way to live her life and not take it too seriously. In the kitchen, Dad breaks into a bouncing dance to try to get a smile out of Mom. They often turned to humor to lighten the heavy mood in the home. As a photojournalist, I did the only thing I knew: I picked up my camera and documented my parents' dual cancer treatments for the next 24 months and our lives as they unfolded. 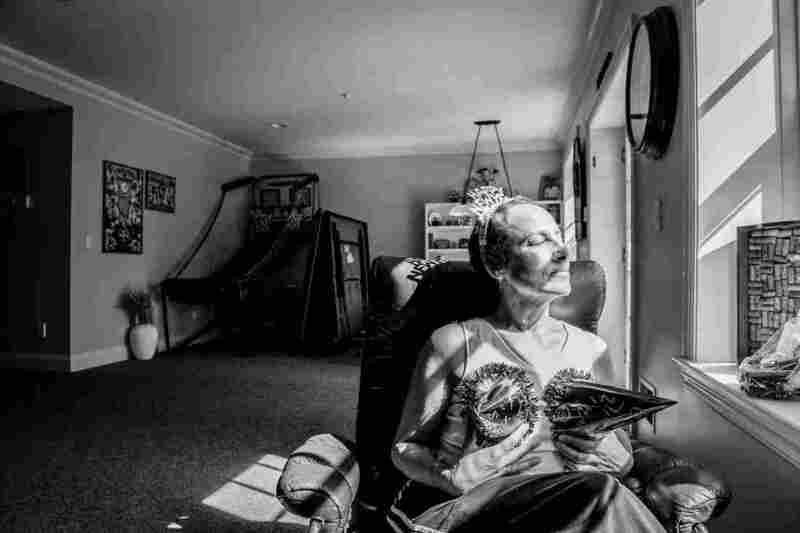 From the seven-hour chemotherapy infusions to running errands with Mom according to her to-do lists, I was there with my camera slung across my shoulder. Late one evening, Dad cut Mom's hair, knowing that it would start falling out on its own in the coming weeks as a side effect from the chemotherapy. Mom turned the shorn locks into eyebrows. When I look back on the time I spent documenting these complicated months, I don't immediately remember feeling scared. 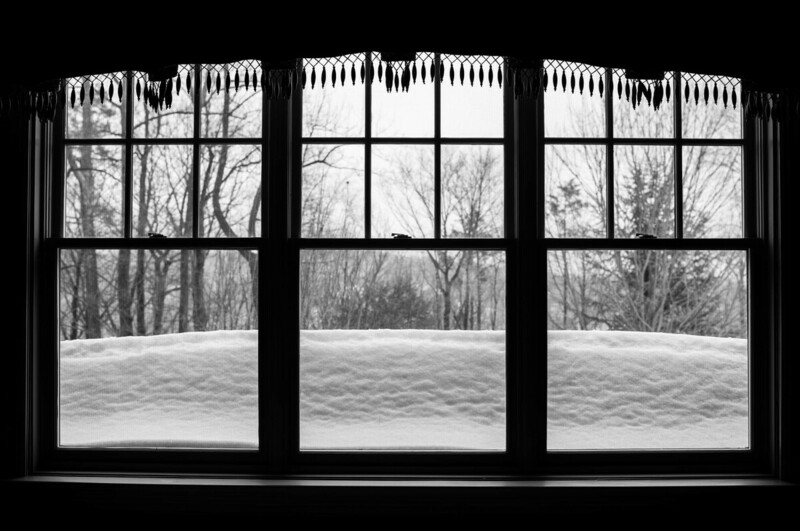 I remember the pee-your-pants laughter, high-calorie dinners (as per the doctor's request, of course), the late-night dance parties in my parents' kitchen and the never-ending conversations over a cup of Chappaqua roast from Susan Lawrence Gourmet Foods and Bea's Bakery blueberry pie. 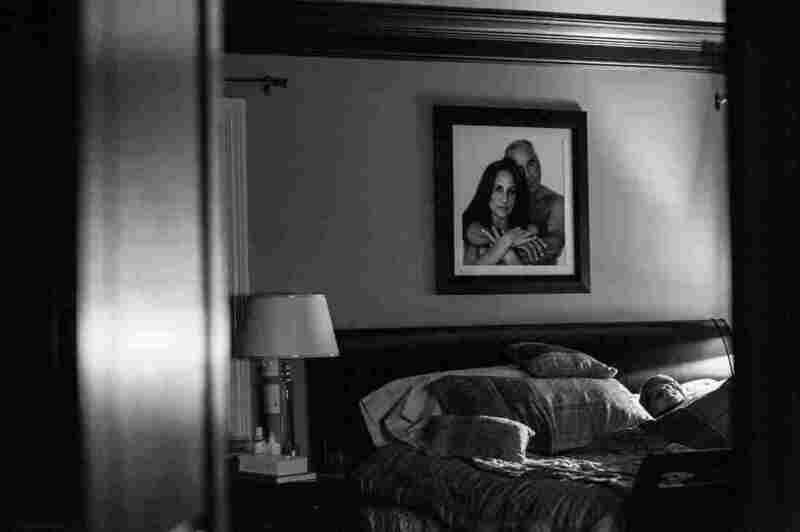 Dad and Mom embrace in the bedroom of their home. 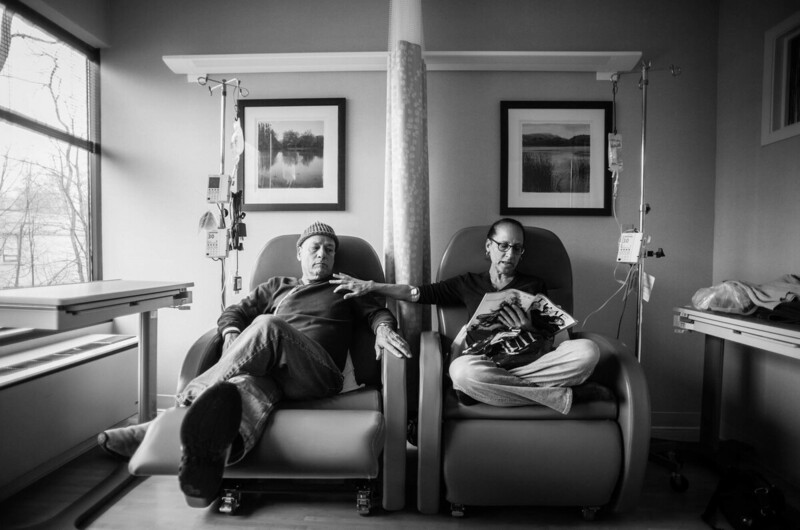 They never could have imagined both being in treatment for cancer at the same time. Together, they faced the daily struggles of illness in their own lives while also caring for each other. Everyone deals with their fears, especially death, in their own way. My family leaned on humor to carry us through this difficult time. I remember one night sitting on my parents' bathroom floor as my father began to cut off my mother's hair, which had become flat dreadlocks tightly knotted against her scalp. The chemo had stopped its growth, but she hadn't been ready to part with her hair for the third time — once with each cancer diagnosis. I remember cursing the universe, asking it to give my mom a break just this once. 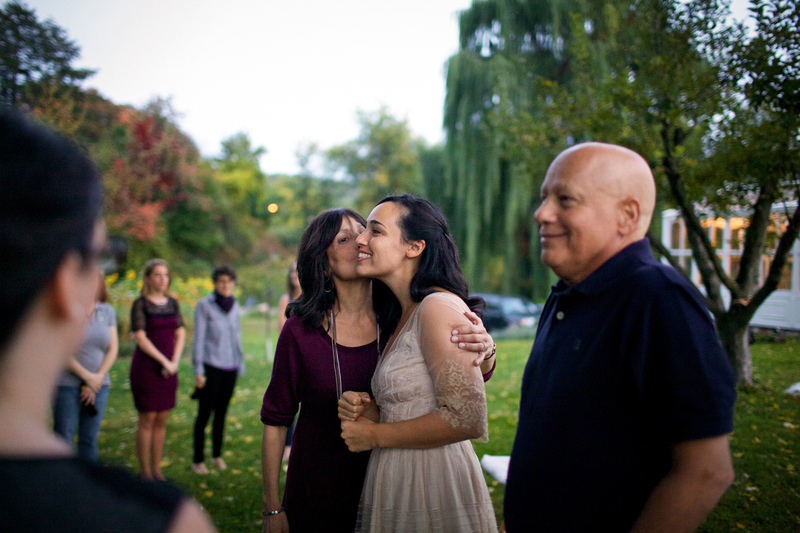 The next thing I knew, my mother jumped in front of me and my lens, discarded hair held to her face like eyebrows. A fashion show followed suit, as we all wore her hair as costume, including the dog! That she found the lightness and ability to find joy in this moment speaks to the tremendous woman she was. By confronting what I feared most, using my camera as my shield, I was able to move past the trauma that I anticipated and truly enjoy the time we had left together. Had I hidden away from the reality, I wouldn't have the beautiful photo of my parents holding hands across the chemo chairs as they received their respective treatments. They were the definition of strength and courage, and seeing these images reinforces to me the importance of not letting fear hold me back. It also reminds me to appreciate each day and not lose perspective. As Mom once told me, "There's also life going on here. I am having marshmallows, you know!" 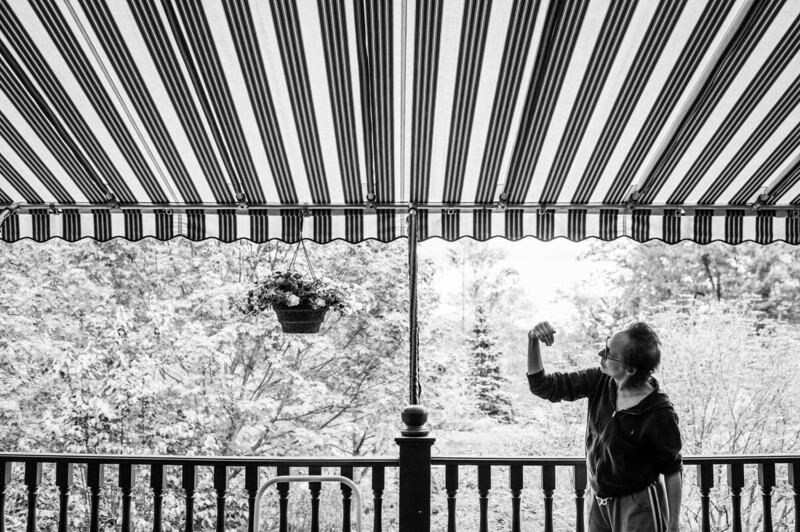 Although illness struck the Borowicks' home twice, they managed to find strength and courage through humor. Dad always dealt with hiring and talking with the gardeners each spring. After he passed away, that responsibility fell to Mom. Upon hearing of his death, the owner of the company sent over flowers, genuinely heartbroken at the news. Mom found a perfect place to hang them on the back patio. 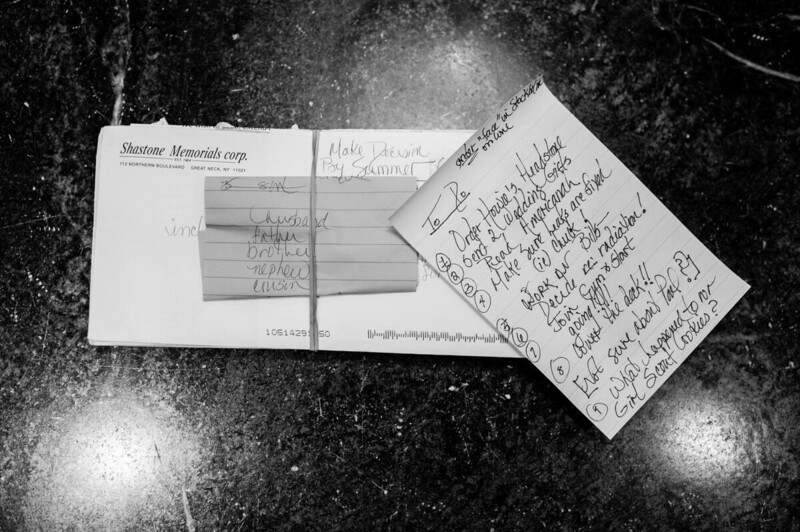 Mom's to-do lists represented the simultaneity of life: Order Howie's headstone, decide whether to begin radiation, join the gym and actually start going, and most importantly: "What happened to our Girl Scout Cookies?" Mom eats dinner with us kids, featuring her famous eggplant parmigiana recipe prepared by her son Matthew. This would be the last meal she would eat. Managing her pain, Laurel Borowick often did not have energy; her fatigue and exhaustion were caused by medication. Was it scary? Of course. When he died in 2013, my dad, Howie, was 58. My mom, Laurel, was 59 when she died one day shy of the anniversary of my dad's death. But what was most notable was how those final months were filled with love and life. Howie and Laurel Borowick attend photographer Nancy Borowick's wedding in 2013. Howie called it the family's last hurrah. Although my parents are gone, my siblings and I continue to feel their love and guidance, as we sift through decades of found letters and notes, including one small stack of Post-it notes from our mother, exemplifying the importance of leaning into fear and taking chances: Courage isn't the absence of fear — it's knowing that you are afraid and doing it anyway. Don't spend your days avoiding risk, being fearful. Act. Live your life on your own terms. Life is precious; spend it without regrets in your own precious voice. For my three angels: If you want to talk or feel my love, look up at the night sky — I am always watching over you. Nancy Borowick is a photojournalist based on the island of Guam. She has covered humanitarian stories for many organizations including The New York Times, The Washington Post and CNN. 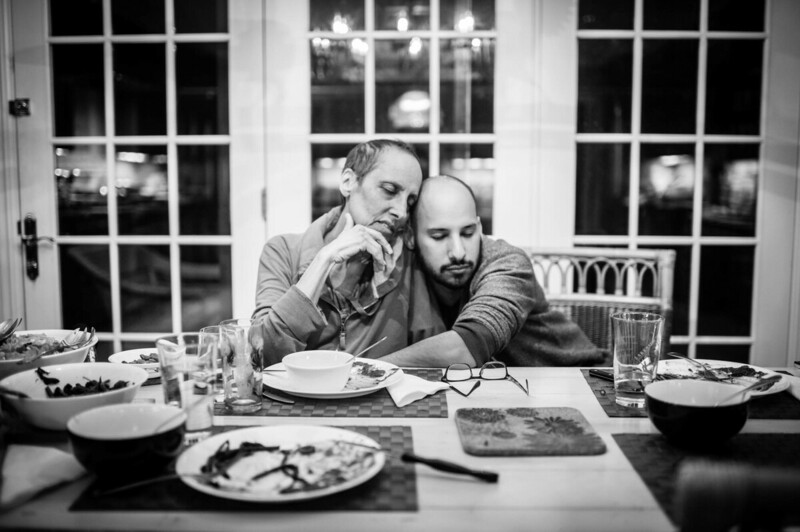 Her book documenting her parents' life with cancer, The Family Imprint: A Daughter's Portrait of Love and Loss, is now available, and the work will be on exhibit beginning Friday in Brooklyn, N.Y.